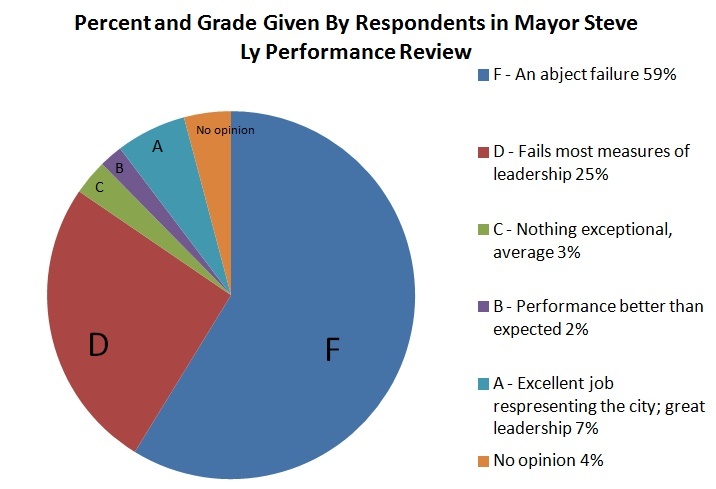 In a poll the concluded on the evening of Wednesday, June 14, Elk Grove Mayor was overwhelming rated as an "abject failure" and failing at "most measures of leadership." Of the 97 participants, an overwhelming majority, 57, or 59-percent rated Ly's first six months as mayor as an F - "an abject failure." Additionally, 25 respondents, or 25-percent said Ly earned a "D" grade - "Poor, fails most measures of leadership." Overall, the poll showed that 84-percent of the participants said Ly earned a poor or failing grade during his tenure to date. Ly was sworn into office on December 14, 2016 for a two-year term.